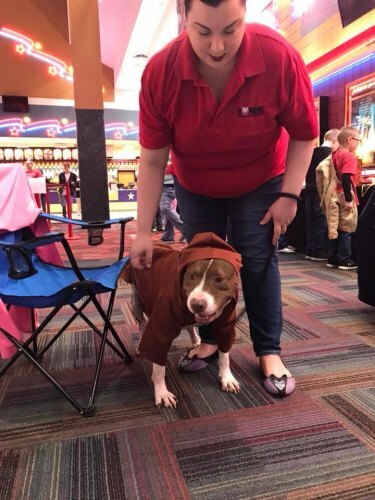 A bunch of homeless four legged friends joined visitors for the "Last Jedi" adventure Saturday morning , Dec. 23 , at Marquee's Galleria 14 in Beckley. Jennifer Peake, who won a "best of show" prize at the First annual Causeacon participated at the cinema lobby party in which attendees were encouraged to come in a Star Wars costume. The Women's Resource Center, Causeacon and Marquee sponsored the event.